During the fight to retake Kunduz City from the Taliban a U.S. Air Force AC-130 attacked a Medicine Sans Frontier (MSF) medical facility in the city during nighttime hours. The air strike was said (by U.S. forces) to be in support of Afghan special operations forces taking fire from the medical facility. Over 30 people died in the attack - many of the medical staff from MSF. MSF issued an initial report of the incident proclaiming that the attack was intentional and was a war crime. The United States apologized for the attack, said it was a mistake and that it would soon issue a report based on an internal investigation. U.S. Airstrikes. Reports were muddled about how many U.S. airstrikes took place. Statements from RS HQs indicated that the airstrikes were in support of U.S. troops (SOF) on the ground in a "self-defense" context. The RS HQs folks seemed pained to stress that the use of air power (as well as 'return fire' by SOF advisors) was justified for reasons of self-defense. Evidently RS HQs seems to think that using airpower to help the Afghan SOKs engage the enemy would make some folks squeemish! 1. The National Directorate of Security (NDS) says that the shadow governor (Mawlawi Salam) was killed in an air strike (although he said in a later audio interview reports of his death were premature). Kunduz Hospital Bombed. In an unfortunate airstrike the U.S. apparently struck a Doctors Without Borders (MSF) hospital in Kunduz. The MSF stated that they had provided the coordinates of the hospital to NATO and the U.S. on the 29th of September. Fourteen medical staff workers were killed with many more injured. 8. Total deaths, including patients, reached in the low twenties. The U.S. has stated that the U.S. aircraft (an AC-130 gunship) was responding for a call for air support by Afghan security forces on the ground. 2. The U.S. military had a difficult time explaining how it wound up bombing the MSF hospital. 3. Some international organizations are calling the airstrike a war crime although most likely it is just one huge screwup by the U.S. Air Force and others involved in calling for the airstrike. 4. Human Rights Watch (international organization) is calling for compensation for the victims and an independent investigation. 5. The incident has caused international outrage and forced President Obama to issue a personal apology. 6., 7. MSF released an internal review of the attack on the Kunduz Trauma Centre on Nov 5, 2015. Investigations. More news developed in the days and weeks following the attack. The MSF reports indicated that Taliban were being treated in the hospital but that they were unarmed. On April 29, 2016 United States Central Command (CENTCOM) posted its investigation report on its website. While it found that no war crime was committed it did find fault with 16 members of the U.S. military for the tragedy. 10. Human Error. The U.S. investigative report on the hospital bombing says that human error was largely responsible for the tragedy. The aircrew misstook the hospital for a government compound thought to be under Taliban control. U.S. Special Forces Element called in Airstrike. A 35-man element from the 3rd Special Forces Group was 1/2 mile away at the Governor's Mansion. From their location they could not see the hospital. While they were under attack by a large element of Taliban forces they called in air support on a number of Taliban positions - to include the MSF medical facility. The U.S. reported that they thought the hospital was a command and control node for the Taliban and were urged to call in air support on the hospital by Afghan government forces. Gen Campbell Press Statement about Investigation on Nov 25, 2015, 15 mins, DVIDS. Kate Clark, Ripping Up the Rule Book? US investigation into the MSF hospital attack, Afghanistan Analysts Network (AAN), November 27, 2015. Kate Clark, MSF Investigation: US Hospital strike looking more like a war crime, Afghanistan Analysts Network (AAN), November 10, 2015. Kate Clark, Airstrike on Hospital in Kunduz: Claims of a war crime, Afghanistan Analysts Network (AAN), October 7, 2015. MSF, Factsheet: Kunduz Hospital Attack, Medecins Sans Frontieres, October 7, 2015. MSF, Memoriam: MSF Colleagues Killed in the Kunduz Trauma Centre Attack, November 24, 2015. Fourteen MSF members lost their lives. May 17, 2016. "Doctors With Enemies: Did Afghan Forces Target the M.S.F. Hospital? ", by Matthieu Aikins, The New York Times. An extensive recounting of the tragic attack on the Doctor's Without Borders medical clinic in Kunduz. May 8, 2016. "U.S. Role in Afghanistan Turns to Combat Again, With a Tragic Error", The New York Times. May 2, 2016. "All Commands to Teach Lessons Learned from Kunduz Airstrike Tragedy", Military.com. Defense Secretary Ashton Carter has ordered the military to emphasize what to do when their technology breaks down. April 29, 2016. "Potential Implications of CENTCOM's MSF Investigation on the ICC's Preliminary Examination of U.S. Forces in Afghanistan", by Ryan Vogel, Lawfare Blog. April 29, 2016. "Green Beret officer blames 'moral cowardice' for Doctors Without Borders strike", The Washington Post. April 29, 2016. "How a Cascade of Errors Led to the U.S. Airstrike on Afghan Hospital", The New York Times. April 28, 2016. "Pentagon disciplines 16 for deadly attack on Doctors Without Borders hospital in Afghanistan", Los Angeles Times. April 10, 2016. "Inside the Kunduz hospital attack: 'It was a scene of nightmarish horror'", by Emma Graham-Harrison and Dr. Kathleen Thomas, The Guardian. Dr. Thomas, of Australia, recounts her experience during the AC-130 attack on the Medecins Sans Frontieres trauma centre. March 31,2016. "Afghans Haunted by U.S. Strikes On MSF Hospital Want the Truth, Not Money and Apologies", by Sophia Jones, The World Post. Six months after the attack that killed 42 men, women and children, the U.S. military's lack of transparency is still hurting Afghans. February 26, 2016. "U.S. Payments to Afghans in hospital attack called inadequate", Military Times. Families of deceased victims will receive $6,000. January 15, 2016. "U.S. Military Readies Punishments for Botched Afghan Airstrike", The Cable, Foreign Policy. Article by Paul Mcleary. Members of the Special Force team as well as higher-ups could see punitive action. December 8, 2015. "Lawmaker: Were U.S. forces manipulated into striking hospital? ", Miltary Times. Rep. Duncan Hunter is questioning gaps in the military's explanation of an October 2015 air strike on the Doctors Without Borders hospital in Kunduz city. November 29, 2015. "Fatal Guesswork: Why the U.S. Military Attacked that Afghan Hospital", by Mark Thompson, Time.com. The author compares the attack on the Kunduz medical facility with two other incidents - downing of two Blawkhawks over northern Iraq and the Iranian civilian airliner over the Persian Gulf. November 26, 2015. "Why Did the US Strike an Afghan Hospital? ", by Catherine Putz, The Diplomat. Results of a US investigation point to human error. November 25, 2015. "Campbell: Kunduz Hospital Attack 'Tragic, Avoidable Accident'", US DoD News. The commander of U.S. forces in Afghanistan presented a presentation outlining the mistakes made that caused the errant attack on the MSF medical facility. November 24, 2015. "Multiple Errors Cited in U.S. Airstrike on Doctors Without Borders Hospital". The New York Times. November 20, 2015. "Pentagon report on MSF hospital bombing will be vetted by U.S. general in charge", Reuters. November 5, 2015. "Doctors Without Borders: U.S. asked if Taliban was at hospital before attack", Los Angeles Times. Carter Malkasian, a special advisor to Gen. Joseph Dunford, sent an inquiry via email inquiring about the MSF staff safety and whether the medical facility was treating Taliban patients. November 4, 2015. "U.S. airstrikes in Kunduz destroyed more than a hospital", The Washington Post. 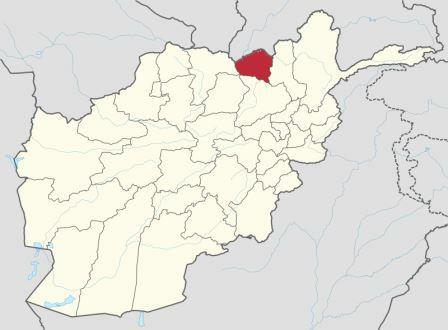 Sudarsan Raghavan reports on other sites attacked in Kunduz - a warehouse and a mansion. October 7, 2015. "Kunduz bombing: MSF demands Afghan war crimes probe". BBC News. October 6, 2015. "Afghan hospital 'mistakenly struck'; strike decision made within U.S. chain of command - general", Reuters. General Campbell says that the U.S. forces responded to requests from Afghan forces and provided close air support as they engaged Taliban militants in the provincial capital of Kunduz. October 6, 2015. "Bombed Doctors Without Borders Clinic's Location Was No Mystery". By David Axe, The Daily Beast. October 5, 2015. "Department of Defense Press Briefing by Gen. Campbell in the Pentagon Briefing Room", U.S. DoD News Transcript. General Campbel (RS Cdr) provides a statement on the MSF med facility attack and responds to questions. October 5, 2015. "U.S. Airstrike on Kunduz Hospital: An Open Source Overview", by Aric Toler, Bellingcat.com. Videos and photos of U.S. airstrike on the Kunduz hospital. October 3, 2015. "Kunduz Airstrike Reportedly Kills 19 at Doctors Without Borders Hospital", National Public Radio. (text and audio report). 1. The U.S. spokesmen seemed to take great pains to explain that the use of airpower or return fire by SOF on the ground during the fight for Kunduz was only for 'self-defense'. Read Robert Chesney's ponderings on this topic in "Why the Emphasis on Self-Defense? ", Lawfare Blog, October 2, 2015. 2. See "U.S. General Says Afghans Requested Airstrike That Hit Kunduz Hospital", The New York Times, October 5, 2015. 3. Explanations for the bombing was difficult - see "U.S. military struggles to explain how it wound up bombing Doctors Without Borders hospital", The Washington Post, October 5, 2015. 4. Screwup or War Crime? Read more in "Did the US Bombing of an Afghan Hospital Cross the Line Between Screwup and War Crime? ", Mother Jones, October 7, 2015. 5. For more on international organizations and their reaction to the airstrike see "Afghanistan: US inquiry Must Go Past Admitting Mistakes", Human Rights Watch, October 6, 2015. HRW demands compensation for MSF and victims and an independent investigation. 6. See "Obama Apologizes to MSF for Air Strike on Kunduz Hospital", Radio Free Europe, October 7, 2015. 7. For another account of the Kunduz hospital strike read "By evening, a hospital. By morning, a war zone", The Washington Post, October 10, 2015. 8. Many of the hospital staff died in the air attack of the MSF facility to include one of the janitors. (The New York Times, Oct 10, 2015). 9. Read more in "US troops didn't have eyes on Afghan hospital before attack", AP The Big Story, November 11, 2015. 10. The CENTCOM investigation report was published on April 29, 2016 and posted online.